Washington, DC (October 4, 2017) – Realtor® Howard W. “Hoddy” Hanna, III, Chairman of Howard Hanna Real Estate Services, is one of five winners chosen by the National Association of Realtors (NAR) for REALTOR Magazine’s Good Neighbor Award. Hanna was selected for founding a nonprofit that donates millions of dollars to children’s hospitals to fund treatment for children without insurance or whose treatment is not covered by their insurance. Hanna co-founded the Howard Hanna Children’s Free Care Fund in 1988 to raise money to pay for children’s medical treatment and special projects at children’s hospitals. Since then more than $14 million has been raised through the company’s 9,000 agents and employees in eight states, and last year alone, his agents raised more than $1 million. The money goes to about a dozen children’s hospitals in markets where Howard Hanna offices are located. To read his full story and watch his video, go to Howard W. “Hoddy” Hanna, III. Hanna and the other four Good Neighbor Award winners will receive a $10,000 grant for their charity and will be featured in the November/December issue of REALTOR® Magazine. The recipients will be presented with crystal trophies on Saturday, November 4, during the 2017 REALTORS® Conference & Expo in Chicago. 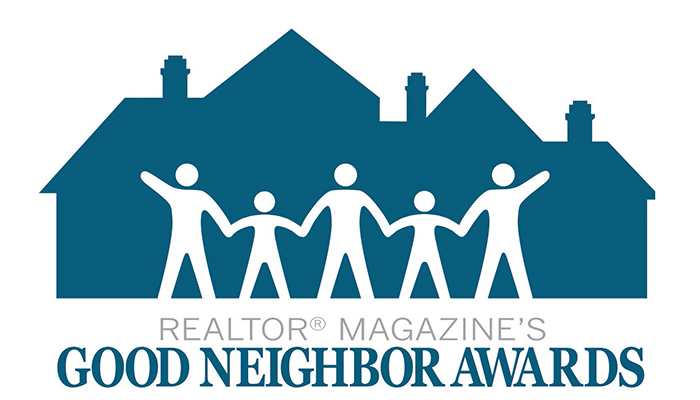 The Good Neighbor Awards have been granted annually since 2000 by NAR’s REALTOR Magazine to recognize Realtors who make an extraordinary impact through volunteer work. Nominees were judged on their personal contribution of time as well as financial and material contributions to benefit their cause. To be eligible, nominees must be NAR members in good standing.